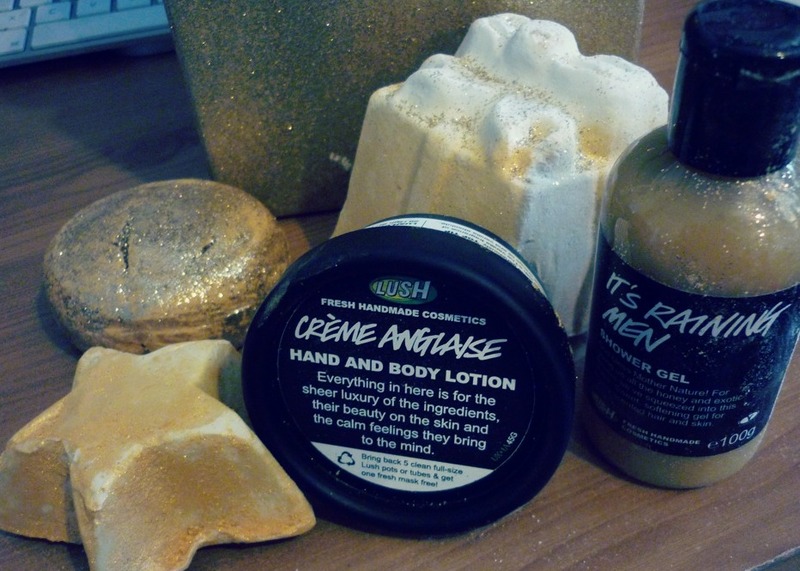 Christmas Gift Ideas: Lush Goodies! I have to say, this year is probably the best year yet for Lush; their Christmas collection is brighter and even more exciting than usual. With new soaps, shower gels and bath bombs, your bath and body are in for a treat with all of these gorgeous new products. 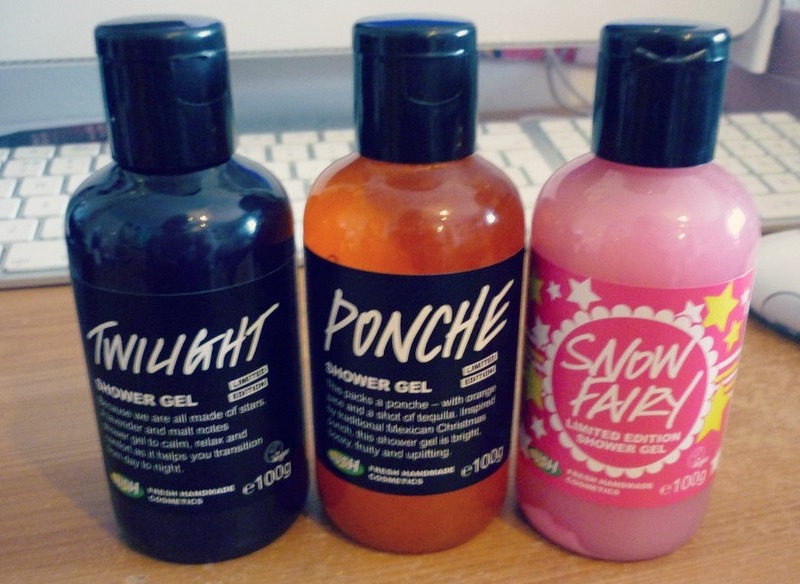 I'm a self-proclaimed Snow Fairy junkie, and I stock up on the stuff every Christmas - this year sees a new revamped Snow Fairy packaging, and I must say I actually prefer the old black packaging personally. Not to fret, the product itself is still as yummy and amazing as ever! 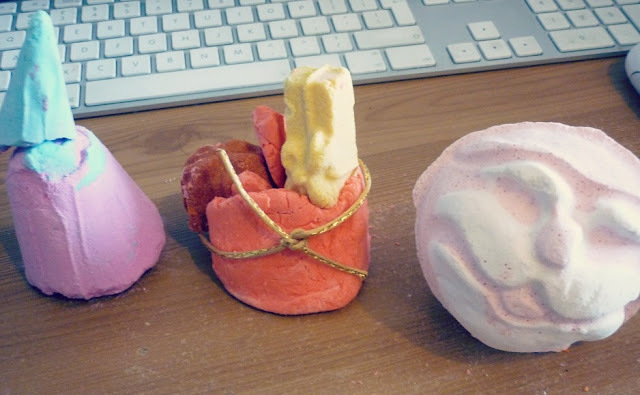 My personal favourites from this year's collection overall are the Stardust gift box, Ponche shower gel, Midnight Massage bar and the Captian Bubblebeard bubble bar! (Excuse the blurry pic!) Shower gels; Twilight, Ponche and Snow Fairy - all €5.50 for 100g. 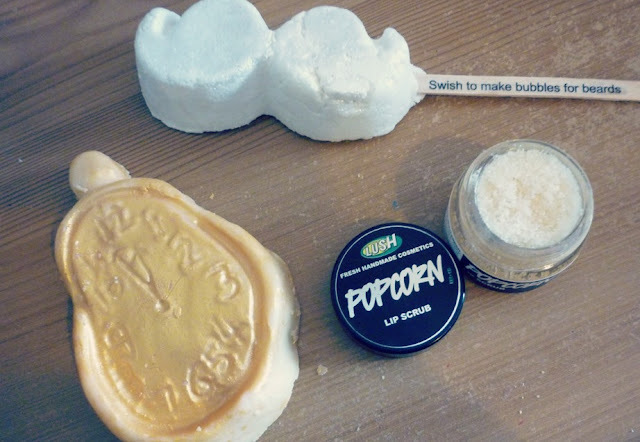 Captain Bubblebear bubble bar (€6.50), Popcorn lip scrub (€6.75) and the Mightnight Massage bar (€8.50). Party Popper bath ballistic (€3.85), Santa's Sack bubble bar (€5.50) and Father Christmas bath ballistic (€4.25). 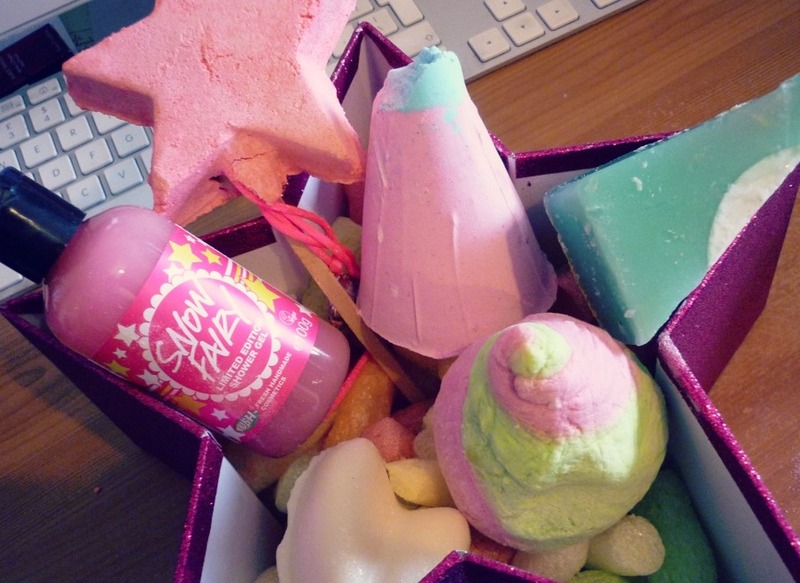 Stardust gift box (€34.95) - includes Candy Mountain bubble bar, Magic Wand reusable bubble bar, Snow Fairy shower gel, Party Popper bath ballistic, Shimmy Shimmy massage bar and Snow Globe soap. 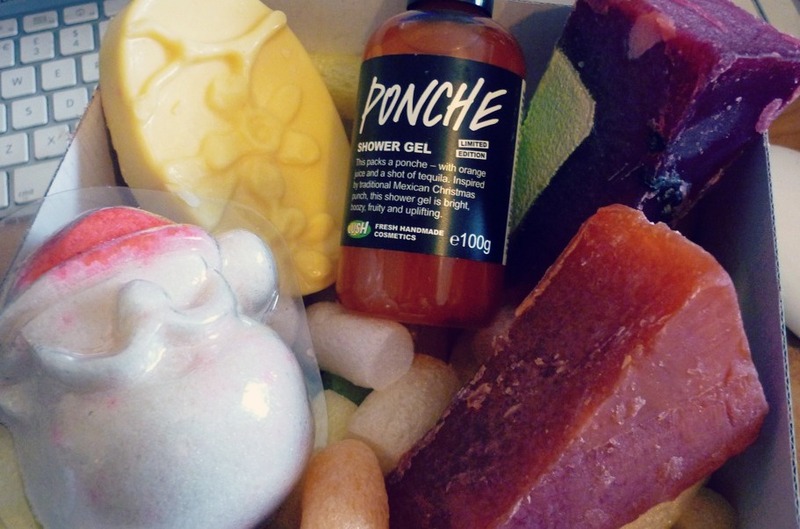 Merry Christmas gift box (€31.95) - includes Sunnyside bubble bar, Golden Wonder bath ballistic, Creme Anglais body lotion, Snowcake soap star and It's Raining Men shower gel. 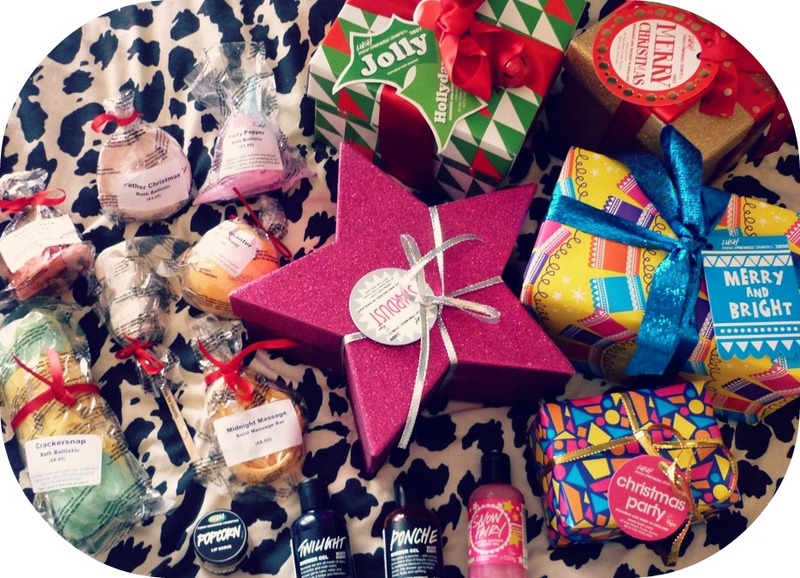 Jolly Hollydays gift box (€32.95) - includes Karma soap, Each Peach massage bar, Ponche shower gel, Sandy Santa sugar scrub and Mr Punch soap. 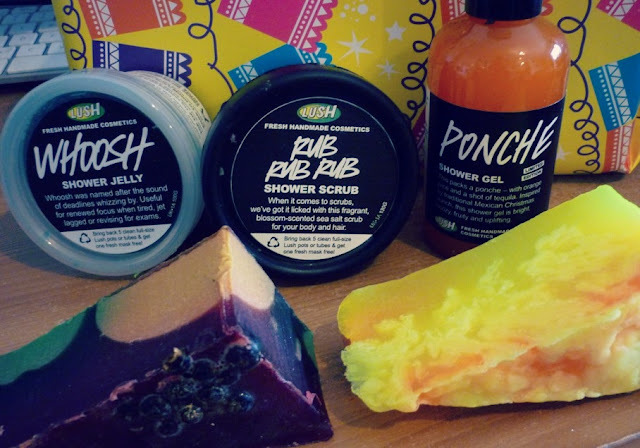 Merry and Bright gift box (€27.95) - includes Mr Punch soap, Rub Rub Rub shower scrub, Ponche shower gel, Whoosh shower jelly and Northern Lights soap. Will you be buying any of the Lush Christmas products? What is your favourite?